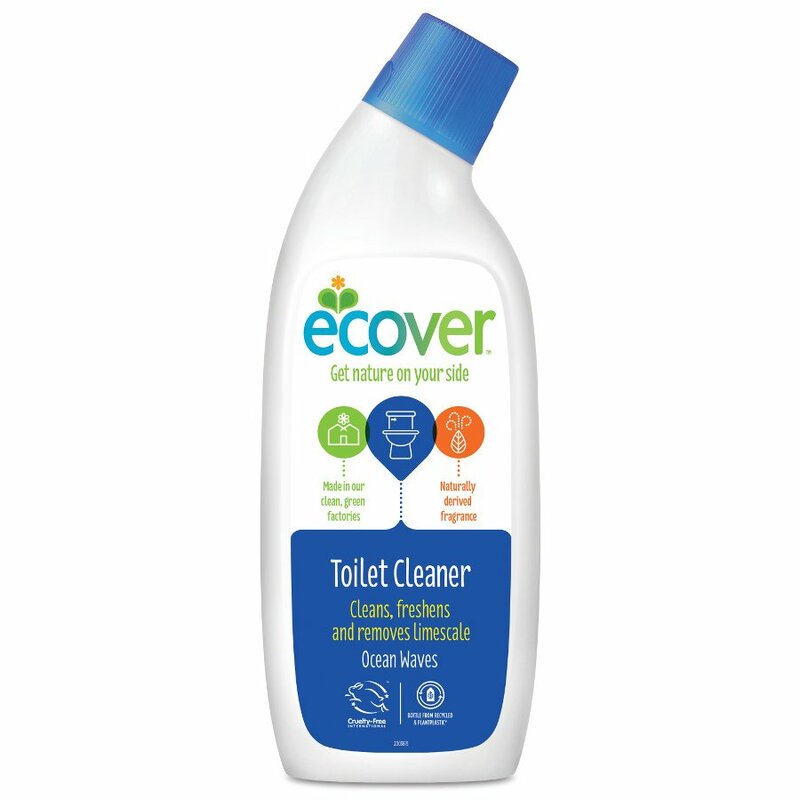 Ecover's Toilet Cleaner has optimum levels of biodegradability and minimum impact on aquatic life. The packaging itself is eco-friendly too made from polyethylene and polypropylene which are 100% recyclable using a low energy process. Instructions for use: Squirt a small amount into the toilet and under the toilet rim. Leave to soak for a few minutes. If needed scrub with the toilet brush. Flush. Aqua, Citric Acid, Lauryl Polyglucose, Sodium Citrate, Xanthan Gum, Parfum, Benzoic Acid, Limonene. There are currently no questions to display about Ecover Toilet Cleaner - Sea Breeze & Sage - 750ml.